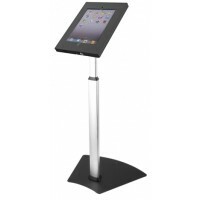 Q-Tee Quality Stand and Trolley wall mount offer the latest in innovative functionality and contemporary design to maximise your viewing pleasure. Designed to fit universally and compatible with a wide range of flat panel models on the market, they will make your LED an absolute ‘showpiece’. Buy the best TV wall brackets in Australia online or in store from Q-Tee. You’ll get a good deal on brackets for of all sizes – from ultra-thin brackets to brackets for up to 80 inch and fixed, tilt full motion and universal Soundbar brackets for the best home entertainment and gaming experiences. 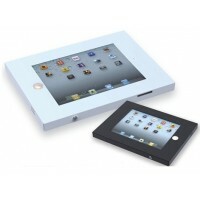 With Wall mount kit for plasma/LCD /LED, Q-Tee provide a great product at a great price. 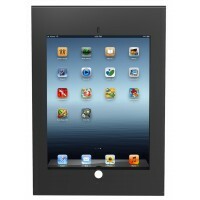 Check out our bargain prices online at q-tee.com.au Mounting a television on the wall can save space and enhance viewing. Those who are interesting in hanging their on a mount bracket may be curious about their options. Consumers can choose between a variety of mount brackets. Some are fixed in place and others move freely to increase viewing capabilities. The key is selecting a mount that is compatible with the television. This guide will describe how mount brackets function and offer descriptions of the types available to consumers. It will also provide helpful tips for mounting a television on the wall. Some flat-panel television manufacturers include a simple wall bracket . Consumers can also purchase them separately at home improvement and department stores. Many stores that sell televisions and other electronics sell TV mount brackets. Anti-Theft, Steel iPad Enclosure For iPad /2 /3 /4 /Air /Air 2 The Q-Tee, PAD12 is a comm..
Anti-Theft, Steel iPad Pro (12.9 inch) Enclosure For iPad Pro (12.9 inch) The Q-Tee, PAD26..
iPad Floor Stand with Anti-Theft Lock For iPad / 2 / 3 / 4 / Air / Air 2 &.. 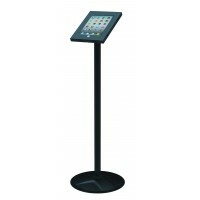 Height Adjustable iPad Floor Stand with Lock For iPad / 2 / 3 / 4 / Air / Air 2 The Q-Tee, P..